1. It is hard to wait for DF13 to start. Here is a great way to keep informed. Keep on counting the days. San Fran awaits your arrival! 2. It is hard to know which sessions to sign up for. Keep checking based on your industry or interest area. Don’t be captivated by the flashy titles. Read the session descriptions and you’ll be even more lured into a tough decision process. 3. It is hard to get a cab at SFO upon arrival. Coordinate with a co-worker, or a new friend, and share a cab. You’ll save money and time. This is a great way to test your salesforce professional’s radar. Just look for the hip teckie or last year’s fancy swag/giveaway items. It is also an option to take the train. There is something familiar about above ground transportation and getting to the City from SFO is not too bad. Of course this depends on the time of day you arrive and how long you have traveled. The other option is to rent a car but once you get to the City you’ll be sorry. No need for a car in San Fran. 4. It is hard to find comfortable, attractive shoes that will last all week. Think comfort…Think, “I’ll be walking around all day.” Plan this one ahead! I would not recommend heels but then again… I’m a guy that does not wear heals too often. A comfortable pair of walking shoes would do the trick. 5. It is hard to be in 2 (or 3 or 4) places at once? You may be learning something or perhaps you sat next to the “right” person. It is hard to know where to go but choose and go with it. You can’t be everywhere! 6. It is hard to talk to everyone you want to talk to. It is difficult to coordinate meetings since people are constantly being pulled into 7 different directions. Try to plan some meetings with colleagues or other industry friends/professionals but do not hold it against them when they mysteriously do not show. Allow yourself wander time and open yourself up to the chance encounter with someone not on your radar. 7. It is hard to find a place to charge your phone/tablet/laptop. I ended up buying a portable phone charger but left it in my hotel room after day one. It is tough at times to find a place to plug in but this can often support #6 above with that chance encounter. It would be more creative to bring a plug adaptor that allows for multiple people to plug in. Or better yet.. Might as well pack a surge protector and extension cord. People will definitely want to be your friend. 8. It is hard to get enough sleep. This is a tough one since everyone has their own idea of what “enough” sleep is. There are many events and after events that you may not want to miss. Check them out but remember this is not summer camp! No one will come knocking on your door to make sure you make it to flagpole (AKA the Keynote) in the morning. 9. It is hard to pick a dinner location of the hundreds of choices. Consider traveling to another part of town for a bite to eat. It gets a bit congested at the Dreamforce epicenter. Besides a good walk in San Fran lands you in another area worth exploring. Sometimes having many options is difficult and there is no shortage of food in San Fran. 10. It is hard to leave. Generally yes it is hard to leave Dreamforce. Who would want to leave one of the most exciting cities in the world? And better yet… arguably the largest conference/cloud tech. convention/party in the world! Then again, I have a wonderful family to come home to and it makes it easy to leave (for me). 11. 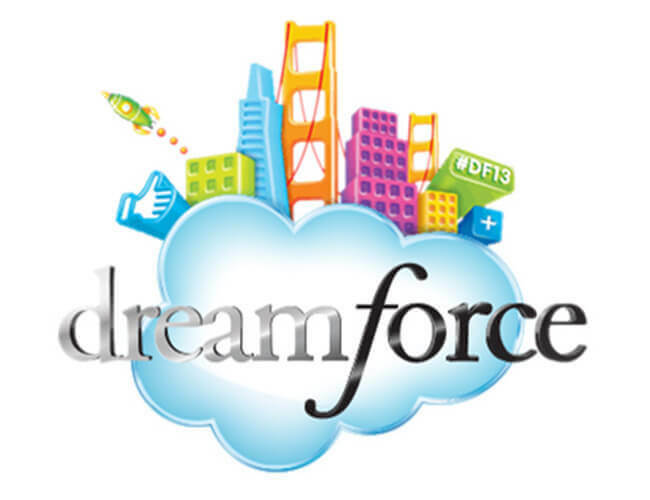 It is hard to believe DF14 is less than a year away (10/13/14 – 10/16/14). Considering I have not even packed for this year… I am safe (I think). However, I’m already trying to find out who will be headlining next year! Oh… new products.. Well I think about those too. 12. It is (sometimes) hard to justify your trip to Dreamforce. Some people know that attending will be well worth the financial and emotional investment but need assistance with what to say or how to phrase it. In case you need some help, Salesforce has done some of the grunt work for you. Take a peek here. Hope to see you there and may the Dreamforce be with you!